But many of us were told that they were rules. A few are useful guides — it is usually better not to split an infinitive or end a sentence with a preposition. Winston Churchill said of the latter, “That is a rule up with which I will not put.” The former would require “To boldly go where no one has gone before” to be “To go boldly where no one has gone before.” The recast version loses some of its punch, its novelty. Thou shalt not end a sentence with a preposition is not now and has never been a rule of English usage. It may have derived from Latin grammar, where prepositions could not end a sentence. But Latin is a dead language — keep it buried. We should not twist our sentences into goofiness by avoiding sentence-ending prepositions. Should we write that is something about which it is not worth arguing rather than that is not worth arguing about? I think not. Even better sometimes is to avoid the preposition altogether — that is not worth discussing. The problem with legal writing is not just that we shy away from ending a sentence with a preposition when it would be natural, but that we use too many prepositions. 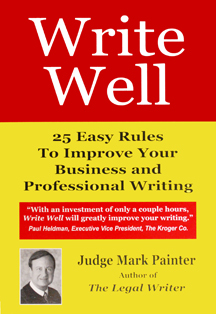 Bryan Garner tells us that good writing uses fewer prepositions.2 We write docket of the court instead of the court’s docket. But the latter is much better, and it avoids a preposition. We write a distance of five miles instead of five miles. The former is simply redundant — an example of flabby writing. You can reduce the clutter in your writing by eliminating many prepositions. An infinitive is a verb preceded by to. Splitting the infinitive means putting some words between the to and the verb. Inserting an adverb between the to and the verb sometimes makes the construction cumbersome. 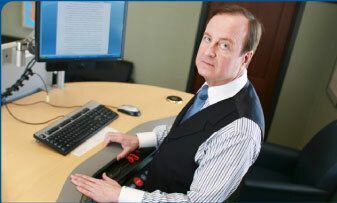 Counsel are directed to carefully and thoroughly research their briefs would be better as Counsel are directed to research their briefs carefully, or even better Counsel should research their briefs carefully. When there is a conjunction involved, be sure to get the infinitive in the right place: Buyers are allowed to either pick the fruit or buy it already picked should be Buyers are allowed either to pick the fruit or buy it already picked. In a recent column on the subjunctive mood, I used this example: If she were [not was] president, or If he were [not was] older, she could go to the dance, or If a wish were [not was] a horse, then a beggar would ride. None of the facts are true — she is not president, he is not older, wishes are not horses. An alert reader questioned whether I should have written none of the facts is true. The reader had remembered her grammar teacher’s emphasizing that none is always singular. How can there be more than one of nothing? That is true when none is used in the sense of not one, rather than in its more common sense of not any. That is, if more than one fact is untrue, none takes the plural. But if we say of all the facts, none is more important than the time of day, we are emphasizing a single fact, and thus none is singular. The plural is much more common. When in doubt — and some constructions are close — use the plural, none are. The singular tends to sound fussy. This issue was covered in a previous article, so it just merits fleeting mention here. The most likely genesis of the stricture against beginning a sentence with and or but is that it might not be a complete sentence — in second grade we might have written I have a dog. And a cat. And a parakeet. So the teacher told us not to start a sentence with and. That was good advice to keep from writing fragments, but no one disabused us of it later, when we had learned to distinguish complete sentences from fragments. Consider yourself disabused. Another bogus rule is that you should never use since when you mean because. This probably arose because (or since) someone felt that there could be confusion. Since can have a temporal meaning — since the 1900s — but it also means because, and is perfectly proper in that sense — Since we know it is raining, the game will be cancelled. There never has been a rule against this usage, but some people continue to believe that there is. Remember, send your questions or suggestions to me at jugpainter@aol.com. 1 Garner, Dictionary of American Usage (1998) 631. 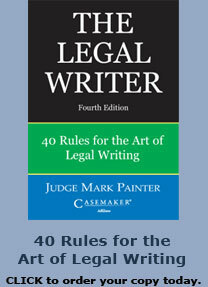 3 The Legal Writer, Second Edition: 40 Rules to Improve the Art of Legal Writing (2003) 72.